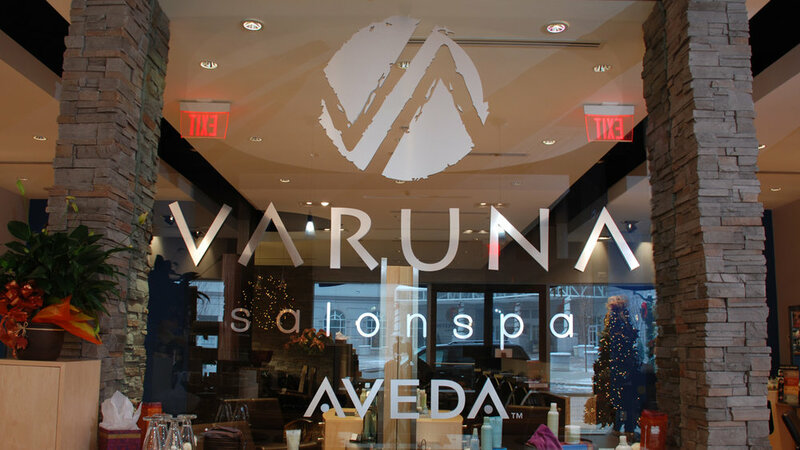 Varuna SalonSpa is a 4,000 square foot Aveda Lifestyle Salon/Spa located within a premier mixed use development, Park Place Annapolis. 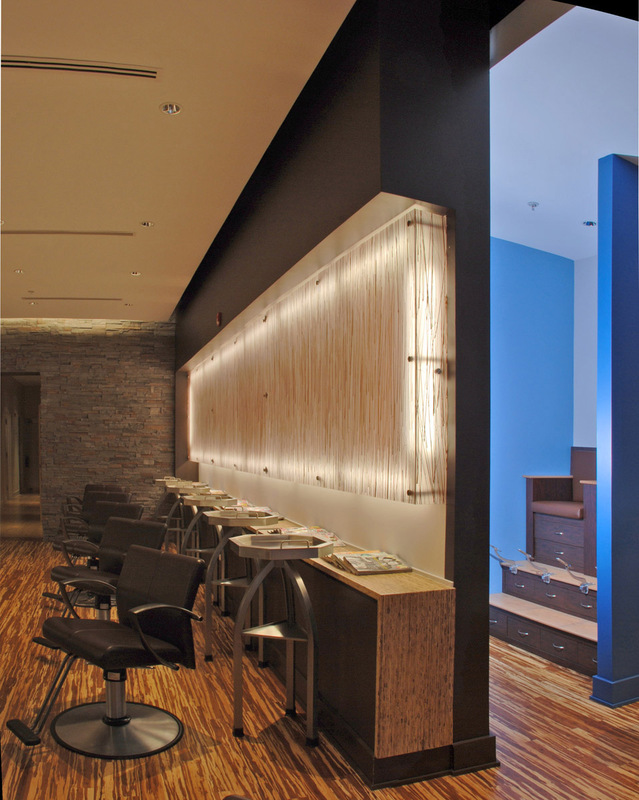 The space includes an Aveda retail area, styling salon with color stations, shoe shine area, manicure and pedicure space and spa cabins. Each spa cabin is equipped with dimmable lighting and a IPOD interface for customers. The design of the space explores materials, colors, and surface textures, as well as the interaction of positive and negative space. With Aveda’s long standing commitment to the environment, it was paramount that sustainability be a key factor when developing the design of this project. Varuna projects an image of sustainability or “being Green” not only with the Aveda products and methods, but through a selection of sustainable building materials. These materials include bamboo flooring, no VOC paints, urea formaldehyde free substrate materials, Dakota Burl and Kirei countertops and light fixtures made from recycled aluminum.